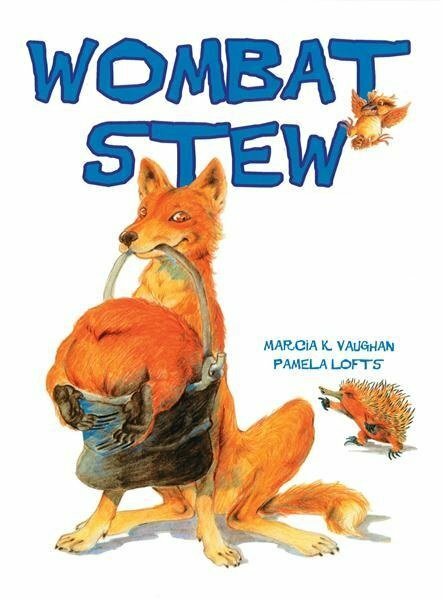 In this classic Australian book, a clever dingo catches a wombat and decides to make wombat stew. Lucky for the wombat, the other bush animals decide to trick dingo in order to save their friend. The repetitive nature of Wombat Stew really engages children and they very quickly, start joining in with the catchy wombat stew rhyme. The rich descriptive language in this book makes it a good choice when targeting adjectives and character description. This book can also be used to target plurals as the bush animals trick Dingo into putting lots of feather, flies and insects into the stew. See the list below for other possible speech and language targets in Wombat Stew.